Got your business up and running, it’s going well, you have a vast network filled with useful firms and people, you have plenty of sales per day. In fact, you can barely remember the days before this. The days where your eyes were dry because you were so tired and trying to work out how to get something done. The days where you were chasing the first leads. Thinking back to the late nights, long days, the money worries and even picking the colours for what now is your brand logo. Attention to detail is critical, and not just in the early days. But after all the late nights, and the struggles, it is easy to get bogged down in things that don’t matter. Managing your staff should always be a top priority, so using the best human resources companies will already be something you are taking care of. What comes next? It is time to give your business a health check. So, let’s dive in. Make notes so you can address these things later. Starting with cash flow. It is the veins of your business, it is what allows you to operate on a day to day basis, keep a roof over your head and take care of your staffs’ wages too. So, does your business have periods that restrict cash flow to the point it impacts the day-to-day? Have you had to take a cut in pay to cover other expenses? How strong is the pulse, as it were? Risk management. Do you have an active process to keep you, your staff and your business safe? Have you spent the time to identify and address the key factors that will impact your business? If you don’t have this within your business, then spend the time to get it fixed. Business plan. While you might think that business plan you wrote a few years ago was the only one you’d ever need, you’d be wrong. 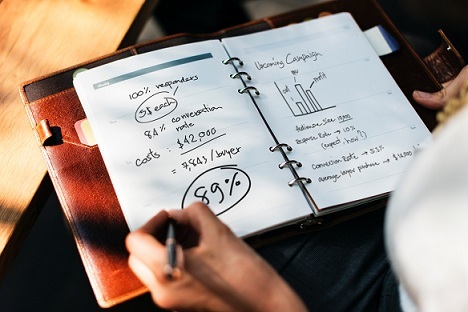 Investing your time and writing a business plan at the start of every financial year will mean you have the next 12 months planned out, with projections and budgets. You can use the previous one to track trends and see how accurate to your business growth has been next to those previous projections. Staff culture. If you have been taking care of your staff, you should have been cultivating an open, positive and interactive environment. Both the individual and the business should benefit from this relationship. If you have staff but aren’t getting that kind of culture, you should have a look at the possible reasons why. Address what you can, talk to your team and rectify it. Scheduling and organisation. Are you in control of your day to day activities? Do you have a well-kept schedule? If you have been in the habit of just about keeping on top of things, you need to make a conscious effort to put your tasks in order. Stick to your schedule. You’ll get more done, be where you are supposed to be without fail and have more free time – by using your time better. Client servicing. This is the time to seek feedback from clients, ones from the early days and ones you are currently working with. Ask them about the services they have received, ask where you could have improved. Talk about value for money. If you have repeat customers, pay particular attention to why they are coming back, and if you have had demanding clients then pay particular attention to where you could avoid that in the future. This feedback will enable you to start performing at a higher level. The Quality of job delivery. If the first time you hear about a dip in the quality of your service or product is when you get a complaint, then you haven’t been doing your job. You should be looking at ways to dynamically measure the quality of what you are providing. How can you do that? Look at the point of sale questionnaires, do spot checks, if you have a couple of stores you can hire a mystery shopper to test your staff out. Work in progress. This is a very simple way to look at your business earnings. If you have solid bookings and sales lined up for the foreseeable future, consider that a strength. If you don’t the chances are that by fixing a few of the issues above you will also fix this one. Consistency. This is a big one. It spans a few sectors, but we will focus on two main ones. Are your business systems and processes all in order, so that they deliver regularity of performance? Meaning that two, three or 953 clients could all expect the same process from start to finish? Secondly, in your online presence, and branding. It is vital that your main logo, tagline and ethos are the ones used on everything – without fail. Not doing so will dilute your message and you are less likely to build a strong and loyal following without taking care of this first. Financial performance. Now, although finance isn’t always an indicator of success, there needs to be a level of performance to indicate that you are on the right track. Are you solvent? (always meeting financial commitments), and you hitting your financial projections and budgets? Are you living comfortably? Why is it important to check on these things often? Well, much like your health, it can get a little neglected with the day-to-day running, and some things can be put off – until it becomes a real problem.